The Salem High Drape Performance Short is crafted from 5.6 oz. 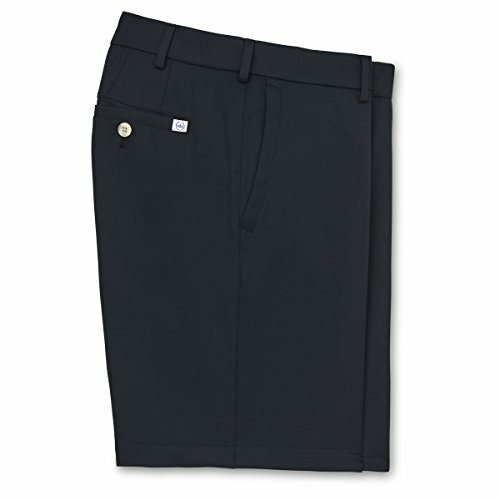 polyester woven twill and features two-way mechanical stretch for ease of movement, moisture-wicking, quick-dry and easy-care. This style is expertly designed for the course, while offering a rich visual appearance for wearing around town. Details & Fit Men's 100% polyester woven twill short Flat front short with finished inseam: 8" Athletic fit | We recommend ordering next size up for a more classic fit Moisture management, shape retention, comfort stretch Quarter-top pockets Machine wash cold; tumble dry low. Imported. If you have any questions about this product by PETER MILLAR, contact us by completing and submitting the form below. If you are looking for a specif part number, please include it with your message.